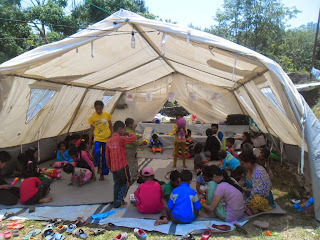 In Morang, We organized Dashain Program With CLASS Supported children. 100 Children are participated in the Tika Program from CLASS Lalbhitti and CLASS Koshi Haraincha. Children are danced and enjoyed different program. School Teacher, LSA, Public Society are took TIKA and JAMARA to children.